A data matrix of 143 morphological and chemical characters for 142 genera of euasterids according to the APG system was compiled and complemented with rbcL and ndhF sequences for most of the genera. The data were subjected to parsimony analysis and support was assessed by bootstrapping. Strict consensus trees from analyses of morphology alone and morphology + rbcL + ndhF are presented. The morphological data recover several groups supported by molecular data but at the level of orders and above relationships are only superficially in agreement with molecular studies. The analyses provide support for monophyly of Gentianales, Aquifoliales, Apiales, Asterales, and Dipsacales. All data indicate that Adoxaceae are closely related to Dipsacales and hence they should be included in that order. The trees were used to assess some possible morphological synapomorphies for euasterids I and II and for the orders of the APG system. Euasterids I are generally characterised by opposite leaves, entire leaf margins, hypogynous flowers, “early sympetaly” with a ring-shaped corolla primordium, fusion of stamen filaments with the corolla tube, and capsular fruits. Euasterids II often have alternate leaves, serrate-dentate leaf margins, epigynous flowers, “late sympetaly” with distinct petal primordia, free stamen filaments, and indehiscent fruits. It is unclear which of these characters represent synapomorphies and symplesiomorphies for the two groups, respectively, and there are numerous expections to be interpreted as reversals and parallelisms. 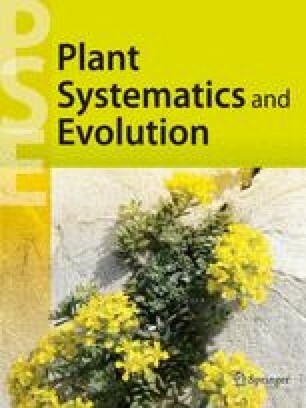 Key words: Angiosperms, asterids, euasterids, Asteridae, Apiales, Aquifoliales, Asterales, Dipsacales, Garryales, Gentianales, Lamiales, Solanales, Adoxaceae. Cladistics, phylogeny, morphology, rbcL, ndhF.